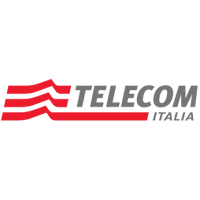 Profile: Telecom Italia (TIM) The Telecom Italia Group is a major Italian enterprise and a key European strategic ICT player. Driven by technological innovation and a commitment to service excellence, Group companies operate in fixed-line and mobile telecommunications, Internet & Media, Information Technologies. Most of the R&D activities of the Group are performed inside the Innovation and R&D Departments of Telecom Italia and involve around 4500 researchers and technicians with an average investment of 650 M Euro per year. TIM Security is the department whose remit is the supervision of security solutions for the Group, scouting for new secure technologies and operations for services and network platforms. CyberSecurity activities are carried on by specific department composed by a Security Operation Center and the Security Lab. The work carried out by the R&D Departments is the outcome of a strategic partnership with the main manufacturers of telecommunications equipment and systems, and with centres of excellence in research at the most highly qualified national and international academic institutions. On the international level Telecom Italia has pledged a substantial commitment to the task of standardisation and has been involved from the beginning in the European Union Framework Programmes starting with the first pilot projects of the ESPRIT programme in 1983 and continuing as one of the primary European collaborators in terms of both finance and the number of projects. In Horizon 2020 and FP7 Telecom Italia is at present involved in more than 40 Projects. The Security Lab has been involved in several joint projects focused on Security and CyberSecurity. Moreover Security Lab is involved in security standardization activities, in particular 3GPP SA3, ETSI TC CYBER, GSMA and NGMN. At the present time the Security Lab is focused on the definition of the cyber Threat Intelligence Platform (TIP) for the Telecom Italia Group, caring about both, the procedural and the technological aspects. Expertise and Role in CONCORDIA: TI is one of the telecoms participating in the Telecomspecific pilot. Its main contribution will take place in task T2.1 and will mainly focus on the area of automated processing of threat intelligence information. Within CONCORDIA TI will explore the use case to build/adopt a TI sharing system/platform common to all project partners, containing TI data contextualized for the Telco sector. These data will be provided by sources and sensors of various partners (including 5G IoT sensors, honeynet systems, OSIN info, etc.) and transform it into high-quality, timing, enriched, prioritized and actionable threat intelligence.